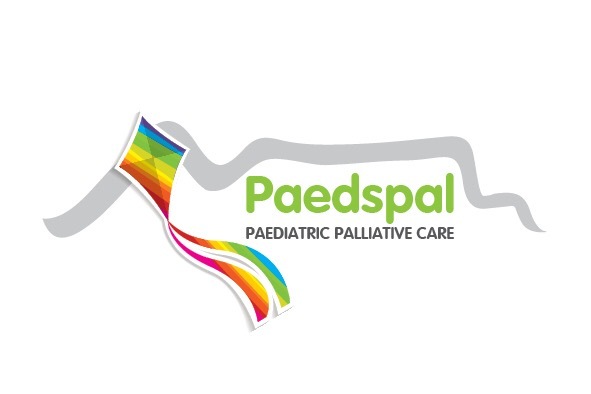 Paedspal Out Patient Unit (POPU) was officially opened at a ceremony held on the 7th of April 2016. 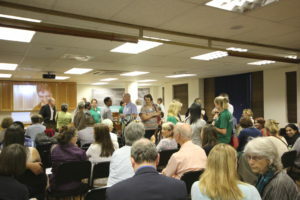 The opening event started off in the Rondebosch Medical Centre’s RMC) conference room. 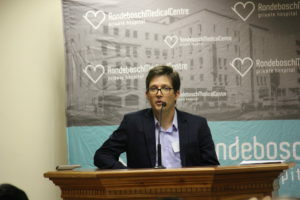 Dr Marc Hendricks, Paediatric Oncologist from the Red Cross War Memorial Children’s hospital, was the master of ceremonies. 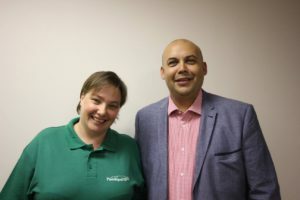 Invited speakers included Prof Chris Scott (Paediatric Rheumatologist from Red Cross) and Mrs Aimee Kingsley (mother of Jesse Steele who died in 2015 from a neuro-degenerative condition). 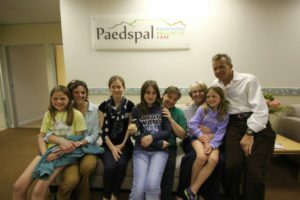 Mr Michael Byron, trustee from the Mapula Trust gave a short overview of the Mapula Trust, its projects and the Parker Family. Without the support of the Mapula Trust the opening of the clinic would not have been possible. 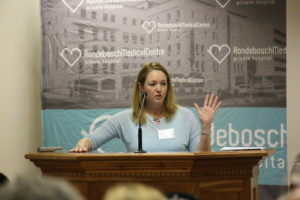 Dr Michelle Meiring gave a short talk on Paediatric Palliative Care and explained how the clinic would operate. Dr Meiring also thanked the Mapula Trust and The Professional Provident Society (PPS) who had donated funds towards the refreshments. 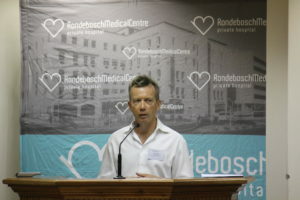 She acknowledged the UCT medical students (final year class of 2015) who raised funds towards the medical and OT equipment and thanked Kirsti Lyall of Kirsti Lyall PR and event company who had organised the opening event. 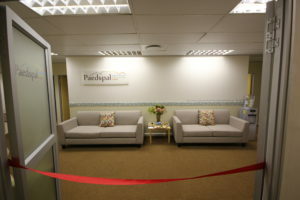 Afterwards, guests moved upstairs to the new clinic on the third floor where patient Huyaam Samuels cut the ribbon stretched across the clinic’s doorway thereby officially opening the service. 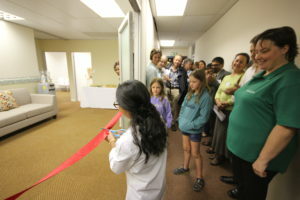 Guests were then treated to a performance from the Chemical Engineers on their guitars and enjoyed light refreshments while looking around the new clinic.